The Newburyport Ten Plein Air Painters is starting the 2012 season with a Spring show at Angles & Art in Haverhill, MA The show started April 2nd and goes until May 31st. 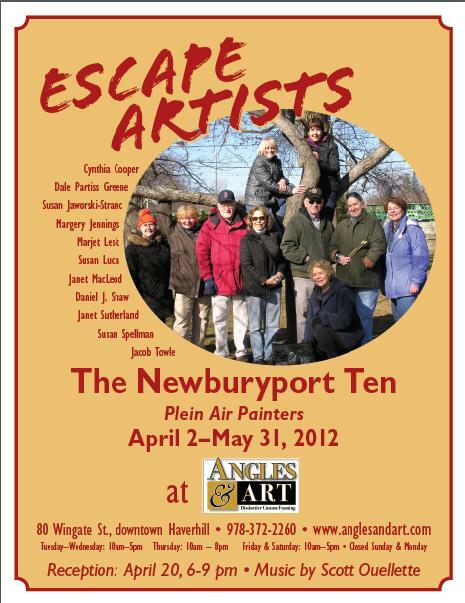 The Newburyport Ten is a fun group of artists who enjoy painting together on Thursday mornings. A reception will be held at Angles & Art April 20, 2012 from 6-9 pm. If you live in the is area I hope you will be able to join us for the reception. If you are interested in painting with the group send me your name and email and I will have you added to the distribution list. That's me kneeling in the front. 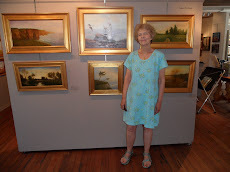 Below are some of the paintings Harmke, Angles & Art owner, chose from my studio for the show.